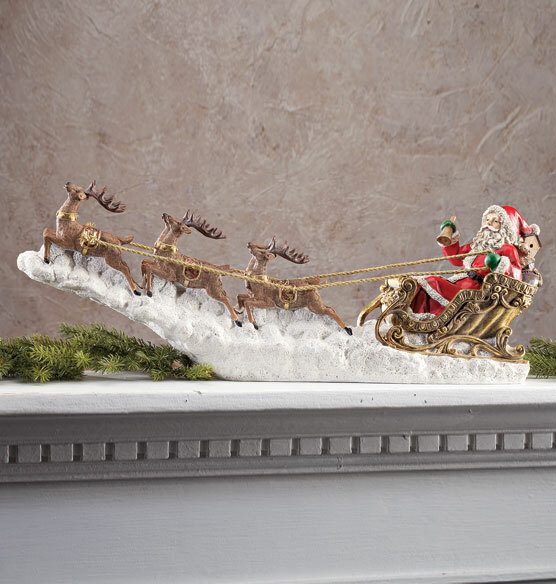 This Santa in Sleigh sculpture catches Santa at that magical moment when his sleigh lifts off into the sky. The intricate detailing captures the jolly old elf in all his glory. You can practically hear him chuckle, “Ho ho ho!” Perfect for displaying on a mantel or coffee table, this is a large Santa figurine that is sure to spark holiday joy in all who see it.